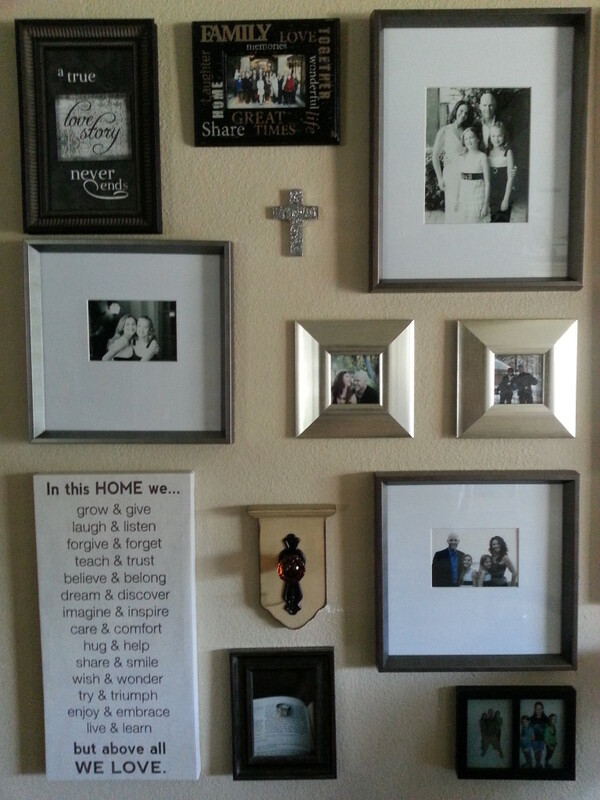 We’re in the middle of doing a little redecorating and updating around the Tait House! I took an area of the house that wasn’t really being used for much. It’s an odd space in between the foyer and the dining room. It’s not traditionally functional, so I knew this was where I wanted the photo wall to go. 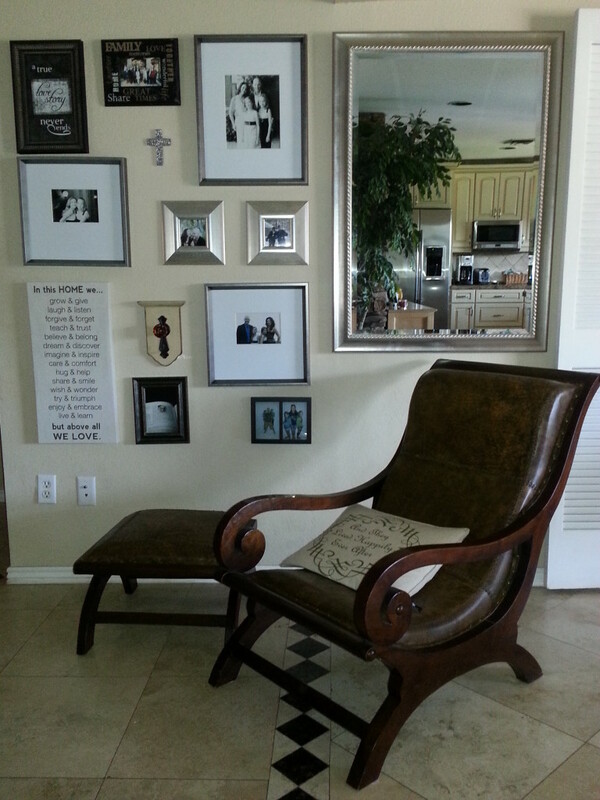 I also took a chair and ottoman from another area in the house so I could turn this into a reading nook. I used photos from our wedding, engagement, and my parent’s 50th wedding anniversary celebration. I mixed up black and white photos with colored ones. Then I took a few fun candids that we took out and about and threw those in as well. 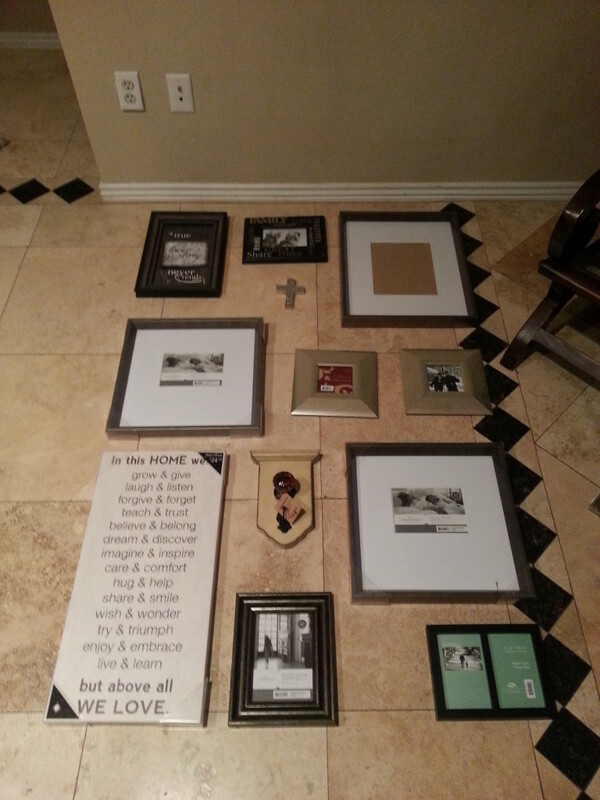 I also found a few pieces that reflect the heart of us: An inspirational piece that pretty much sums up who we are as a family, a wedding gift that says “A True Love Story Never Ends,” a doorknob because we’re a family that opens the door to the opportunities Christ brings, and a cross given to us as a wedding gift. The cross went right in the center of everything, because we’re ALL about keeping Christ at the center of our lives! And there it is! Fun decorating at the Tait House! What do you think?